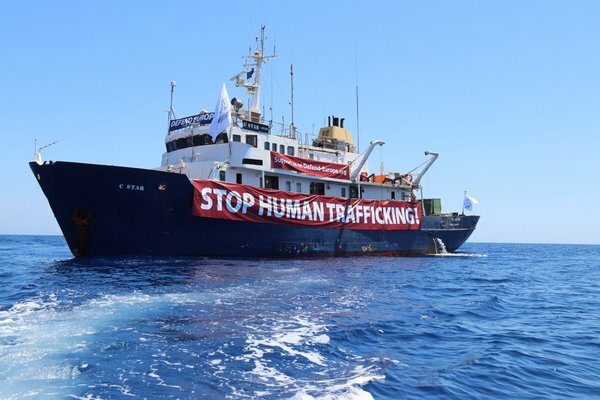 The International Transport Workers’ Federation (ITF) says it is assisting the crew of the vessel #C_Star , who have been abandoned and left unpaid by its charterers, the right-wing youth group Defend Europe, according to the ITF. The ship, currently in Barcelona, Spain, has been at the centre of Defend Europe’s “comic opera efforts” to block vessels rescuing refugees and migrants from sinking boats in the Mediterranean, the ITF said in a statement. “Oh, the irony. This group charters a British-owned, Mongolian flag of convenience ship, with a Sri Lankan crew to protest migration into Europe. Then abandons the crew in Europe,” said ITF seafarers’ section chair David Heindel. “This vessel has been like a clown car on water: overcrowded, comical, and, just like the ‘mission’ it was on, the doors quickly fell off. Sadly, it’s no surprise that the overgrown schoolboys behind it all have now abandoned the crew and left them to be looked after by the organizations they aimed to castigate, the Red Cross, the Spanish Coast Guard and the local maritime authorities,” Heinde added.